Attending one of the Maple Leafs' three home games this week will come with a big price tag. With the Leafs bidding for their first playoff berth since 2013, each game will be crucial to the team's postseason hopes, and matchups against the Jets, Rangers and Canadiens will serve as this week's most expensive NHL games. The Maple Leafs end their expensive three-game homestand against the Canadiens, as both teams look to right the ship. Toronto has struggled against Montreal this season; the Canadiens will be looking to complete the season sweep on Saturday. Maple Leafs tickets against the Canadiens currently average $502 and the get-in price is $175, as the Maple Leafs look to salvage a contest against Montreal in front of their home crowd. The Air Canada Centre also will be the site of the Maple Leafs taking on the Rangers, who lead the league in third period goals. However, Toronto is among the best in scoring in the first period. 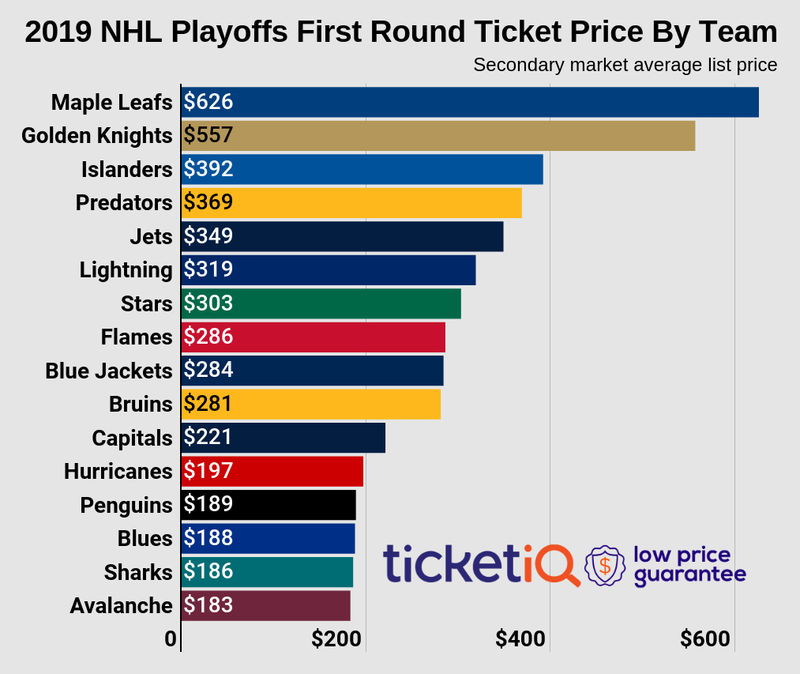 Maple Leafs tickets on TicketIQ currently starts from $86 each and average $255, as each team looks to win the series in their third and final meeting of the season. Tuesday’s contest between the Maple Leafs and Jets hopes to be as exciting as their meeting earlier this season when they went to overtime. For the second and final time this regular season, Toronto and Winnipeg face off against each other. Maple Leafs tickets on TicketIQ currently average $249, and the cheapest available tickets start from $100 each. Rookie Patrik Laine, who recorded a hat trick in the previous meeting, and his Jets look to duplicate their early-season performance, as they hope to extend their winning streak. On Tuesday, the Rangers host the Canadiens, as New York looks to put together another winning streak. On Sunday, Henrik Lundqvist sent away 31 shots from the Washington Capitals, as the Rangers defeated the league’s best team, 2-1, at Madison Square Garden. Rangers tickets on TicketIQ currently average $236, and the cheapest available tickets start from $83 each. The Rangers continue to knock on the door of the top three spots in the strong Metropolitan Division. The Blackhawks enter their contest in Minnesota on a six-game road winning streak. In each of those Chicago victories, the Blackhawks have scored at least four goals. Meanwhile, Minnesota brings a Western Conference-best 21-7-1 home record into the contest. Wild tickets at Xcel Energy Center currently average $215 and the get-in price is $100, as Chicago looks for its second victory at Minnesota in as many weeks.